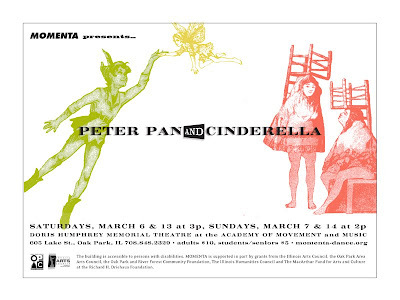 Emma will perform with MOMENTA in Cinderella over the next two week-ends. She is a ball dancer and part of a quintet with whom she'll perform her first solo on pointe. Saturdays, March 6th and 13th at 3pm and Sundays, March 7th and 14th at 2pm.